Guitar Lessons: Guitar 2: Verse 1 Variation! 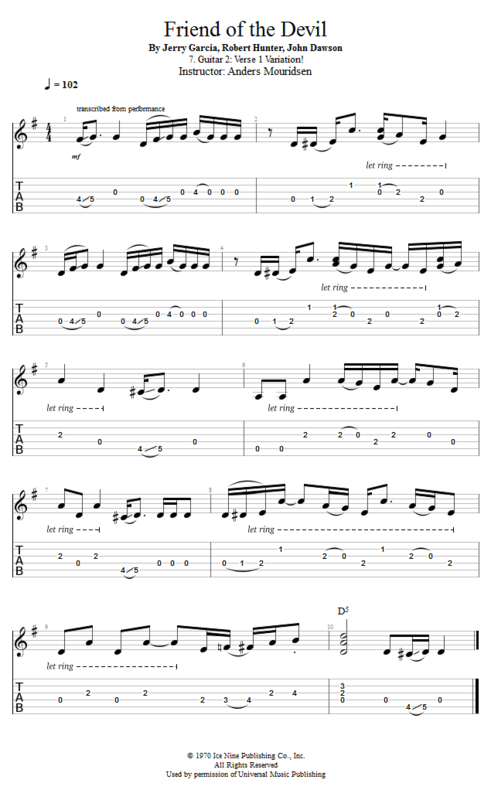 Now that you know a basic version of guitar 2's lead part, let me show an important variation that he uses in the first verse. For the performance in this tutorial I'll stick to the basic verse lead part you learned in the previous lesson. But there is one important variation that I will use, and this happens right when the vocals come in. Typically when a vocal first enters you want everything else to take a step back in order to give the listener a chance to take in this new and all-important element.